2011-2015 Chevrolet Cruze Front. 2004-2006 Chevrolet Epica Front. 2004-2011 Chevrolet Aveo Front. 2006-2011 Chevrolet HHR Front. 2005-2010 Chevrolet Cobalt Front. 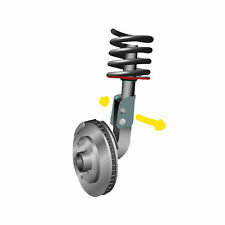 2004-2005 Chevrolet Classic Front/12MM. Series : AC Delco Professional. Quantity sold : 1-corner set. Therefore all implied warranties that may apply to your part are limited to the duration of this written warranty. Each warranty gives you specific rights, and you may have other rights which vary from state to state. Front ±2.75 Camber Alignment Kit. MANUFACTURER PART # 81250. 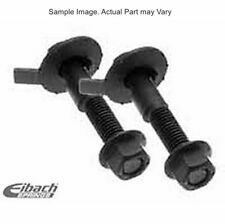 EZ Cams™ make non-adjustable two bolt struts adjustable up to ±1.75° camber change. Head markings show where the cam is for maximum change and an easy-to-manipulate toothed washer lets you set positive or negative change. Fits most Subaru models. Subaru FORESTER SF MY98-02 INCL TURBO(8/97-6/02). Subaru IMPREZA GC SEDAN, GF WAGON MY94-00 INCL WRX & STI (4/93-9/00). Subaru IMPREZA GD2 SEDAN, GH2 WAGON MY03-07 INCL WRX, EXCL STI(9/02-9/07). CAUTION: Check for caliper to rotor clearance when installing this part on vehicles equipped with rear disc brakes. Part #: CAM1A. Professional technicians trust and value Moog because of our reputation for solving problems. And for more than 40 years- every NASCAR Cup champion has relied on Moog ball joints for performance and durability. Adjusts : Camber. Series : AC Delco Professional. Quantity sold : 1-corner set. Therefore all implied warranties that may apply to your part are limited to the duration of this written warranty. Each warranty gives you specific rights, and you may have other rights which vary from state to state. There are adjustable nut and 2 pcs gaskets in each bolt, allows adjusting camber simply and precisely. Small structure and big function. Such a amazing products! Don't miss it! With adjustable nut and 2 pcs gaskets, allows adjusting camber simply. 05-10 Cobalt. FRONT RIGHT PASSENGER. If a parts was successfully installed, went into service, and then failed, it may be eligible for warranty repair. By Vehicle_Toyota. Racing Seats. NO instruction included. FRONT CAMBER BOLT 2 x Bolts. 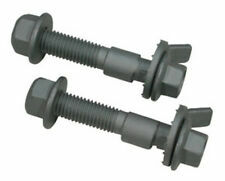 Front: 12mm Cam Bolt - Max ±1° (using 1 bolt per strut) or Max ±2° (using 2 bolts per strut). 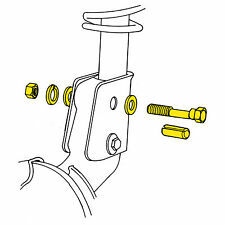 One set replaces upper Spindle bolt, 2 sets will replace upper and lower Spindle bolt. The engine types may include 1.0L 993CC 61Cu. l3 GAS Naturally Aspirated, 1.0L 993CC 61Cu. l3 GAS SOHC Naturally Aspirated, 1.0L 993CC 61Cu. l3 ELECTRIC/GAS SOHC Naturally Aspirated, 1.0L 999CC 61Cu. Adjusts : Camber. Series : AC Delco Professional. Notes Location : Rear. Location : Rear. Quantity sold : 1-corner set. Condition : New. Therefore all implied warranties that may apply to your part are limited to the duration of this written warranty. Professional technicians trust and value Moog because of our reputation for solving problems. And for more than 40 years- every NASCAR Cup champion has relied on Moog ball joints for performance and durability. Trending at $20.39eBay determines this price through a machine learned model of the product's sale prices within the last 90 days. FRONT LEFT DRIVER. FRONT RIGHT PASSENGER. In order to keep our prices low, we have the following purchasing policies We only warranty cost of parts. Parts must be in new, salable condition. Parts must be in new, re-saleable condition. Grand Tex Part Number: 81250. 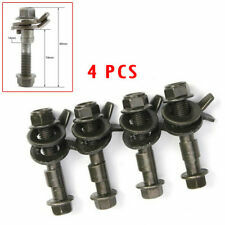 EZ Cams™ make non-adjustable two bolt struts adjustable up to ±1.75° camber change. Head markings show where the cam is for maximum change and an easy-to-manipulate toothed washer lets you set positive or negative change. Part #: K100336. Professional technicians trust and value Moog because of our reputation for solving problems. And for more than 40 years- every NASCAR Cup champion has relied on Moog ball joints for performance and durability. Position: Rear. To confirm that this part fits your vehicle, enter your vehicle's Year, Make, Model, Trim and Engine in theCompatibility Table. The engine types may include 2.0L 122Cu. l4 FLEX DOHC Naturally Aspirated, 2.2L 2189CC 134Cu. Lowering & Lifting used to mean serious tire wear. Our alignment parts could solve their problems. Adjustable camber/caster/toe fine tune your handling and alignment while minimizing tire wear. Perfect for Pro Touring as well as track and everyday street use. Save time by being able to quickly and accurately dial in your alignment angles and at the same time improving your handling and tracking.. If a parts was successfully installed, went into service, and then failed, it may be eligible for warranty repair. By Vehicle_Mitsubishi. S14 240sx 95-98. Camber Arm Kit. S13 240sx 89-94. NO instruction included. W/FE1 Suspension. FRONT right passenger sides. FRONT LEFT DRIVER. In order to keep our prices low, we have the following purchasing policies We only warranty cost of parts. Parts must be in new, salable condition. Quantity sold : Kit. Condition : New. Therefore all implied warranties that may apply to your part are limited to the duration of this written warranty. Each warranty gives you specific rights, and you may have other rights which vary from state to state. 05-10 Cobalt. FRONT LEFT DRIVER. If a parts was successfully installed, went into service, and then failed, it may be eligible for warranty repair. NO instruction included. Super strong steel construction. 2006 to 2011 CHEVROLET Aveo. 2005 to 2010 CHEVROLET Cobalt SS. If ordering a universal part keep in mind that by nature, they are not designed for any specific vehicle and may require custom work to fit your particular vehicle. Part Number: 75400. DISCLOSURE: PHOTOS DO NOT REPRESENT ACTUAL PART. A set of 12MM Camber Bolt. We Will Only Accept Our Products Which Are Unused, Unwrapped Or Never Installed. 2001-2011 Mazda Tribute, FWD/AWD 1998-2000 Volvo 90 Series, RWD. 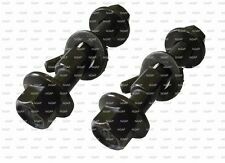 1986-1992 Mazda RX7, RWD 1993-1997 Volvo 850 GLT, FWD. Part Number: CAM1A. To confirm that this part fits your vehicle, enter your vehicle's Year, Make, Model, Trim and Engine in theCompatibility Table. The engine types may include 1.0L 993CC 61Cu. l3 GAS Naturally Aspirated, 1.0L 993CC 61Cu. 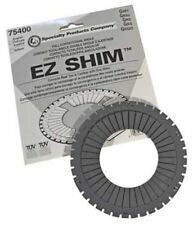 Specialty Products Brand 71427 Full Contact Rear Wheel Alignment Shim 7/16". Condition is New. Shipped with USPS First Class Package. 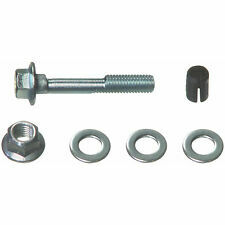 New in box Moog K9757 Camber Bolt Kit. High Quality Made in USA. Boxes may show shelf wear. Trending at $17.60eBay determines this price through a machine learned model of the product's sale prices within the last 90 days.